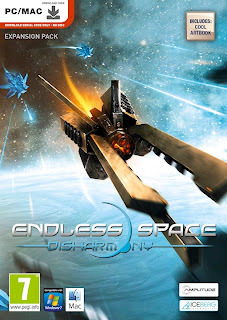 The Endless Space: Disharmony expansion will bring many enhancements and additions for Endless Space players. A tenth faction, known as “The Harmony”, basically consisting of living rock, will make its appearance, along with its unique play style and objectives. Space battles have never been more intense, with the addition of fighters and bombers, battle formations, a new targeting system, a redesigned weapon system and enhanced planet invasion mechanics. Revamped AI opponents will now offer vastly more unpredictable and cunning behaviour to make the Endless Space even more dangerous.